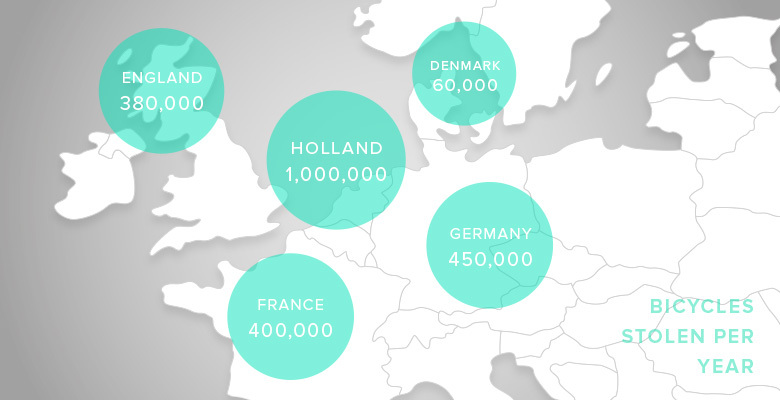 Statistics show that the number of cyclists is growing in Europe. In some countries, almost everyone is a proud owner of an iron horse. Unfortunately, increasing the number of bicycle thefts. For example, in the Netherlands each year more than a million people are victims of such crimes. You can see some stats below. Of course, you must get a reliable lock, and try not to leave the bike unattended for a long time, but as practice shows, very often occur at night theft of garages, balconies, backyards of private homes and even with a protected parking. We offer excellent lafhak – keep the bike right at home on the wall and stop worry about the fact that somebody might steal it one day. You never know! All bike lovers face the problem of bicycle storage and often try to get rid of the bike in the house. He takes the place, can stain your clothes and so on… But creativity – it’s just the ability to look at things from a new angle and disclose their potential. Similarly, the bike if property disposes of the space can not only be stored conveniently in your home but also to become a very stylish accessory for your interior. 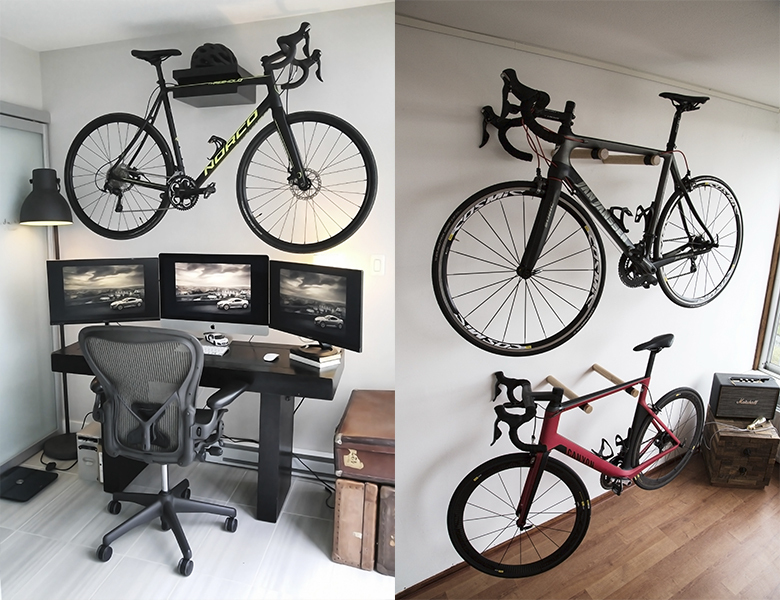 Smartly placed bikes look great in the living room and the home office as well. Finding a small dining room walls decorated with bikes is a touch rare, but it does give the space a distinct and trendy appeal. 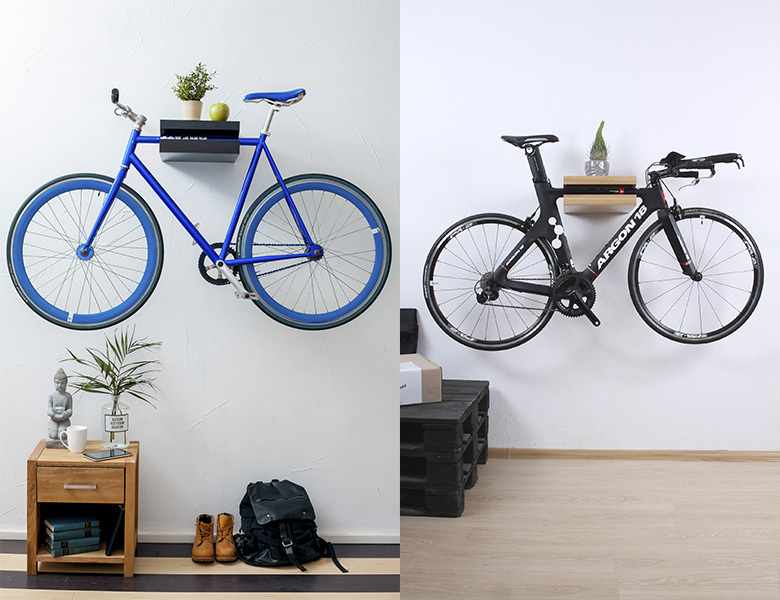 When done right, the wall-mounted bike looks stunning. Look the photo reviews below from our customers to make sure of that. On the pictures “Amsterdam” (on left) and “Copenhagen” (on right) bike racks. You can get more info in our shop page.